Our instructors are carefully selected and trained to bring you the finest in dance instruction. You will reach any dancing goal through personalized teaching based on the latest techniques and styles. During your one-on-one personal lessons, you will receive individualized instruction that will help you achieve your goals in dancing. Your instructor will spend the time necessary on technique, styling, and general dance improvement. An up-to-date record of everything you have learned will also be kept as part of your instruction. Group classes are an important addendum to your private instruction. They give you the opportunity to dance with a variety of partners, develop good dance habits, and meet other students in the studio. In group classes, we emphasize style and variation of patterns. You may be taught materials that your regular instructor hasn’t introduced to you yet. Additionally, material that has been introduced will be reviewed and practiced for improvement. We hold scheduled practice parties for all enrolled students. These practice parties are held on a weekly basis. 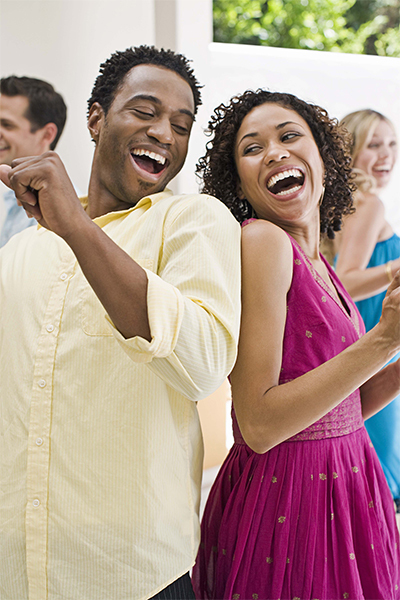 You will have fun dancing with the instructors and students in a relaxed and comfortable environment. This gives you the opportunity to practice and try out all the new dance skills that you’ve learned in your personal and group lessons. Check the studio monthly calendar for practice party day and time.